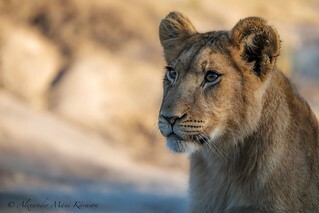 This is one of the four lion cubs that were present at Antelope Park in Zimbabwe, when I stayed there for two months this summer. She has three brothers, Africa, Amani and Arusha. At the time they were nine months old and very playful.